Improvements to Homeowners at affordable prices since 1989. Whenever you are considering any type Home Improvement, Kitchen Remodeling, Bathroom Remodeling,or Room Addition, you must select a Contractor who understands your project and will be able to bring your vision to life. It must be finished to your satisfaction and in a timely and workmanlike manner.You must also consider selecting a contractor whose Quality, Workmanship, and Design capabilities will bring you the highest return on your remodeling investment. 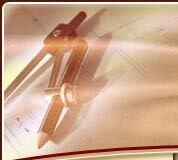 Nichols & Associates prides itself in bringing you all this and more. The first thing we'll do is sit down and talk. It's not only the right way to begin a relationship, it's an essential part of our design and renovations process. Getting to know you, your lifestyle and your needs for a particular room is what inspires us. We'll talk about the challenges as well as the opportunities, and of course.we'll discuss your budget. From that input, we'll create concepts and present options that speak beautifully to realizing your goals.